*Courtesy of GoDISH.com for credit-qualified customers. Customers who do not qualify may be eligible for a secondary gift offer. DISH has a perfect add-on special just for sports fans. The Multi-Sport Pack from DISH features more than 35 of the best sports TV channels, including NFL RedZone, MLB Network, Fox Sports and more. This DISH exclusive can be added to any regular TV package for one low monthly price. Compare these deals and specials to your what you’re currently paying for satellite or cable – nobody can come close to offering the same quality and value. 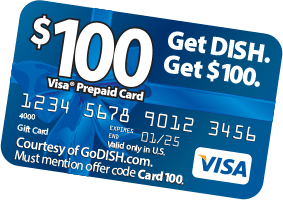 For the best DISH deals call 1-855-745-1331 now and find out how much you can save on DISH TV programming. When you subscribe to DISH, you’ll get FREE standard professional installation in up to six rooms of your home. This special offer is available across the continental US and includes both satellite TV and high-speed Internet services. Plus, depending on where you live, you may be eligible for same or next-day installation. Qualifying new DISH customers can choose between great specials and promotions to get the best deal on DISH Network TV & Internet. These DISH Network deals are included with the 2-year price guarantee and the first-year savings promotions. Get 3 months of premium entertainment such as: Showtime and the DISH Movie Pack free for 3 months with a qualifying 2-year contract. Premium channels have television’s most popular shows, including Showtime’s Homeland and Ray Donovan; as well as movies, documentaries, exclusive stand-up comedy specials, and more. Join the many happy customers who have made the switch from cable to DISH. 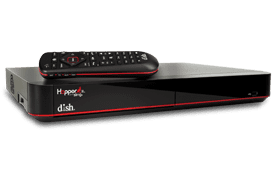 Not only does DISH cost less than cable, it also has a bigger program library, superior technology and equipment, higher satisfaction rates, and better interactive features. Make the switch from cable to DISH today. DISH Network offers the best and lowest pricing options for digital services. DISH Network provides their customers with extra benefits like the highest quality equipment and free installation. Enjoy DISH in up to four rooms in the house without any additional installation fees. Cable averages $64 per month plus around $40.00 per room in installation fees, cable TV provides a limited number of channels at a higher price than DISH Network. DISH Network provides upward of 500 channels, 200 of those being high definition TV programming. All DISH channels are formatted in the highest quality picture and sound for your viewing pleasure. Cable TV generally only provides about 120 high definition TV channels and will charge customers an extra monthly fee to have better quality picture and sound. DISH Network gives its customers up to 3 of the best satellite receivers at no charge. DISH Network also offers dual-tuner technology so that customers may watch the same programming in independent areas, hassle free. Cable may require multiple converter boxes, at an additional monthly cost, to connect the cable line to your TVs. Cable also charges extra for equipment such as digital video recorders or high definition options. In a survey conducted by J.D. Power and Associates, DISH Network rated higher in customer satisfaction than cable providers. DISH Network has seven U.S. operated customer service operations to assist subscribers and offer support. DISH Network has a very low outage percentage, coming in at 1%. Cable TV outages run much higher than DISH Network at 3% to 5% per year. J.D. Powers and Associates surveys classify cable company’s customer satisfaction rates as good to poor, which is lower than DISH Network. Electronic program guides and Pay-Per-View are just a few of the interactive features that make DISH the preferred customer choice. Also enjoy DISH’s DVR which gives you the option to record, rewind, fast forward, and pause during viewing your favorite TV programs. Cable’s interactive features are slimmer and include a program guide, video, and on-demand subscriptions, usually for additional fees. Switch today and find out why customers prefer DISH Network over cable providers.